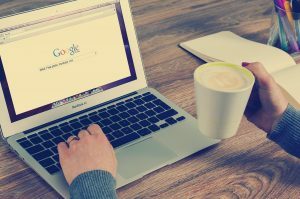 If you aren’t utilizing SEO strategies in your website content, in your blogs, and on your social media pages, then you’re missing out on ranking your business high in internet searches. SEO is one of the most popular and effective ways to ensure your target audience will find your business and purchase your product or service. However, SEO is not as easy as you may expect. Although its basic concepts are easy, the technique of SEO is constantly evolving. You’ll need a deeper understanding and base knowledge to predict new trends and what will work for your site. SEO or search engine optimization is the process of getting traffic from free or organic search results on search engines. 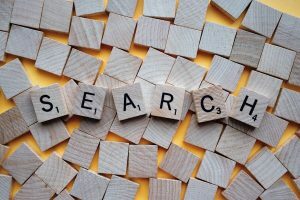 All search engines, like Google, Yahoo, and Bing, have main search results, where web pages and their content, such as pictures, videos, and other local listings, are being ranked based on what the search engine considers as most relevant to users. This is helpful for businesses needing more traffic to and exposure for their business. Here are some of the trends we expect to dominate the SEO platform in 2018. Google announced a couple of years ago that secured website certificates (SSL) will start to impact the ranking of websites. We also notice that some browsers, such as Chrome are flagging or tagging websites that do not begin with ‘HTTPS’ as having the potential of being unsafe. Structured data is a way of formatting HTML that uses a different vocabulary. It tells search engines how to interpret the content and how to display it in the SERPs. Google never actually confirmed that structured data is a ranking signal, and it most likely won’t be. However, there is a certain difference between a rich snippet and a regular snippet in a search results page. Experiments done in structuring your data show an increase in click boost rankings. These days, where you have a lot of competitors online, you have to take every opportunity to stand out from the rest. Read more on SEO trends and features in 2018. Page speed has been an ever-present issue, causing executive headaches long before 2018. With today’s fast-paced generation, people want what they want, immediately, and that is where speed comes into play. Primarily, people do not like slow pages, buffering or loading times. If your business’ page is slow, your site traffic is likely to suffer. To see how your page speed stacks up with other websites, take a look at Google’s PageSpeed Insights. Other SEO trends this 2018 are Video SEO, Voice Search, and Searcher Intent. Click here to learn more ! !